In the first of the two recently decided cases, H.P. v. Naperville, 910 F.3d 957 (7th Cir. 2018), the Seventh Circuit decided the Naperville School District did not discriminate against a nonresident student with disabilities who sought to enroll in the district, because under the Illinois district’s policy, only residents of the district could enroll. Because there was no “open-enrollment” option for any nonresident, this nonresident student was not a “qualified individual” for district enrollment. In other words, she was not denied enrollment due to her disability; she was denied due to her non-residency. Wisconsin school districts may have been wondering at that point whether the H.P. v. Naperville decision would impact Wisconsin’s open enrollment program, under which districts determine separately the number of excess regular education spaces and the number of excess special education spaces they have available for nonresident students. Specifically, did H.P. v. Naperville suggest that this separate space determination in and of itself violates the ADA and the Rehabilitation Act? If an applicant who needed space in special education was denied enrollment, because the school did not have the excess space in special education, would that applicant have a viable claim against the school district, with the ability to prove that (1) the student was a qualified individual with a disability, and (2) the student was denied governmental benefits because of his disability? Thankfully, not long after H.P. v. Naperville, The Seventh Circuit answered those very questions in P.F. by A.F. v. Taylor, 914 F.3d 467 (7th Cir. 2019). P.F. by A.F. v. Taylor holds that Wisconsin’s open-enrollment program as written does not violate the ADA or the Rehabilitation Act. The key is that, under Wisconsin’s program, when a district has no excess space in special education, open-enrollment applicants with IEPs are not automatically rejected; the district must determine whether it can fully implement that specific IEP. The Seventh Circuit, in analyzing Wisconsin’s open-enrollment program, determined that for a student to be a “qualified individual” for the program, the student must meet the program’s “essential eligibility requirements.” This hinges on whether the district has excess capacity. To determine whether districts have excess capacity, they must evaluate their existing space and resources and categorize their capacity accordingly (e.g. grade level, special education space and resources, and regular education space and resources). A nonresident student will be a qualified individual only if the district has excess capacity to meet that student’s specific needs. Therefore, the Seventh Circuit reasoned, if the district does not have the excess capacity to serve the student’s needs as outlined in his IEP, then the student was not a qualified individual meeting the program’s essential eligibility. The Seventh Circuit explained it is no different than assessing grade level capacity. For example, if a district does not have excess capacity for any 5th grade students, then nonresident 5th grade students are not qualified, regardless of disability, much like the H.P. v. Naperville decision. More complex, though, if a district determines it has excess 6th grade regular education space but no excess 6th grade special education space, the district cannot simply deny enrollment to all 6th grade applicants with IEPs. That would be discrimination based on stereotypes about disabilities (and the needs of each student with an IEP), which the ADA and the Rehabilitation Act forbid. The Seventh Circuit correctly determined Wisconsin’s open-enrollment program does not operate in that manner. Instead, the program requires the district to assess its ability to meet the requirements outlined in the individual applicant’s IEP, rather than basing its decision on the mere fact of the applicant having an IEP. Even without any space available in special education, the district might have the resources to implement that applicant’s IEP. IEPs vary widely, and, for example, an applicant with an IEP might only require extended time on tests and no time in the special education classroom. Therefore, if the district is able to provide the extended time on tests, then the student is qualified for the open-enrollment program, even if the district has no excess special education space. It is worth noting that the ADA and the Rehabilitation Act require programs receiving federal funding to make “reasonable accommodations” necessary to permit those with disabilities who are otherwise qualified to participate in the program, service, or activity. The Seventh Circuit considered whether the ADA and Rehabilitation Act require a district, when it does not have excess capacity and resources to satisfy a student’s IEP, to make reasonable accommodations to allow that student to cross-enroll. The Seventh Circuit decided federal law does not require districts to make reasonable accommodations, because that would “fundamentally alter the nature of the [open-enrollment program],” and the ADA and Rehabilitation Act do not require accommodations that would upend a key feature of the program, namely, that the district has excess capacity. 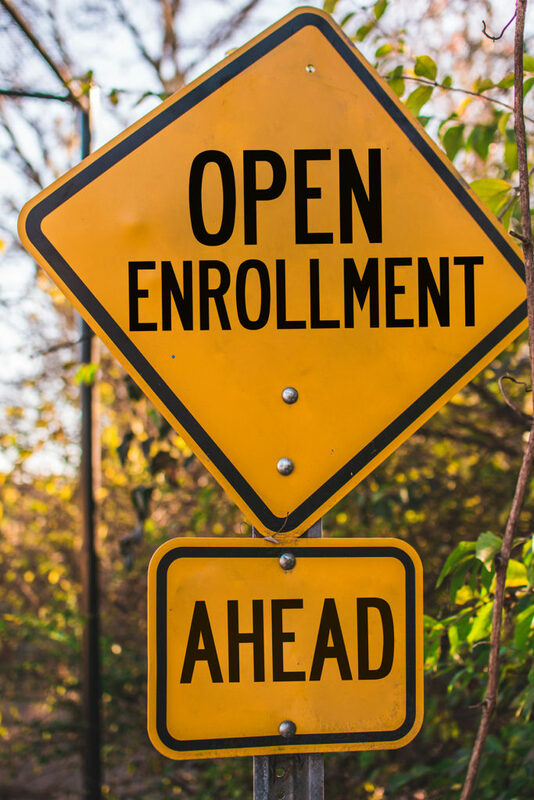 After these two Seventh Circuit decisions, the take-home message is that Wisconsin’s open-enrollment program is lawful – when implemented correctly. You have already determined whether and to what extent you have excess space in regular education and special education. When it is time to review applications in May, if you have excess space in regular education but none in special education, remember not to automatically reject applicants who have IEPs. Carefully assess your district’s capacity to fully implement the specific needs outlined in each IEP.